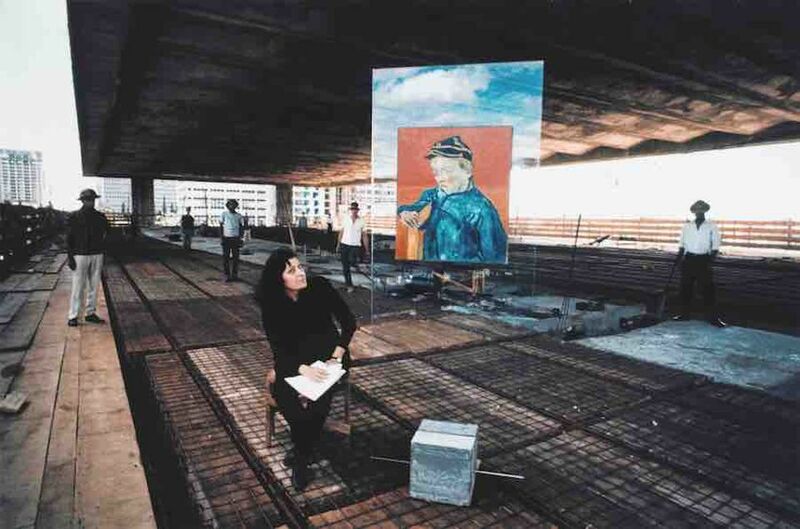 Shortly after the Italian-born architect Lina Bo Bardi (born Achillina Bo) left war-torn Milan for São Paulo with her husband, the art critic and curator Pietro Maria Bardi, the couple embarked on a joint project to help inaugurate the Museu de Arte de São Paulo Assis Chateaubriand (Masp)—now one of the most comprehensive museums in Latin America. 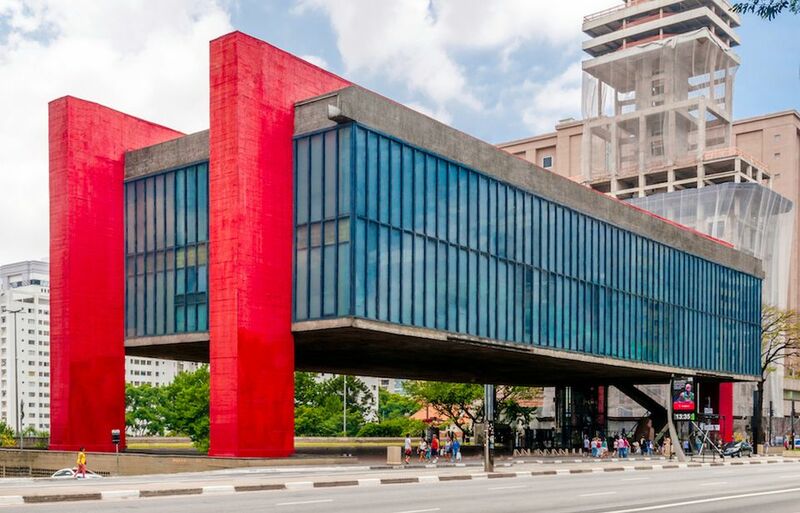 With Pietro as Masp’s curator and Lina tasked to devise the first iteration of its monolithic façade, the building opened in 1947 and was redesigned as it now stands in 1968. The artist’s glass and concrete museum sought to offer a prodigious but unpretentious atmosphere, in what Bo Bardi called “poor architecture”. To commemorate its jubilee, on 5 April the museum will open a major retrospective of drawings, writings, proposals, projects and archival materials that aim to explore the artist’s involvement with Masp and her influence and prolific production in Brazil, where she became a citizen and died in 1992. The show aims to “not to only show Lina Bo Bardi as an architect, but, above all, as a thinker who acted both in architecture and design as well as editorial, criticism, curation and pedagogy”, says Tomás Toledo, Masp’s chief curator. The three-part show includes the sections Habitat, which delves into the artist’s popular architecture publication that was released in 15 editions between 1950-59; Rethinking the Museum, which comprise the original designs for some of the artist's best-known inventions, such as the glass wall hangings that remain a staple of the museum; and, From the Glass House, which deals with her trajectory as a designer by exploring notable projects such as the Casa Valéria Cirell in São Paulo and the Igreja Espírito Santo do Cerrado in Minas Gerais. Julieta González, the chief curator of the Museo Jumex, where the show travels in January 2020 before opening at the Museum of Contemporary Art Chicago in June, says the exhibition “not only undertakes a critical reappraisal of Lina Bo Bardi’s contributions to architecture, design, education and social practice, but also introduces her work to audiences outside of the specialised field of architecture”. She adds, “It’s been more than two decades since Mexican audiences have seen her work, so it’s an opportunity to critically contextualise her production”. A 352-page catalogue, the most comprehensive record of the artist’s career to date, will be available in Portuguese, English and Spanish. The publication contains archival materials and writings by the artist as well as essays by Adriano Pedrosa, Antonio Risério, Beatriz Colomina and Mark Wigley, Esther da Costa Meyer, Guilherme Wisnik, Jane Hall and Luis Castaneda. The exhibition is part of the museum’s year-long focus on female artists in Brazil. It coincides with a retrospectives of the Modernist painter Tarsila do Amaral and the painter Djanira da Motta e Silva, and precedes a major exhibition slated to open in December that will explore the careers of the abstract sculptors Gertrude Goldschmidt, known as Gego, and Leonor Antunes. The exhibition has been sponsored by Le Fosse, Price Waterhouse Coopers and Iguatemi, with support from Itaú, Vivo and Nova Energia.